Operations Officer﻿ Paul Simakoff-Ellims, took these photo's whilst visiting Europe. Here is what Paul says of his holiday snaps. 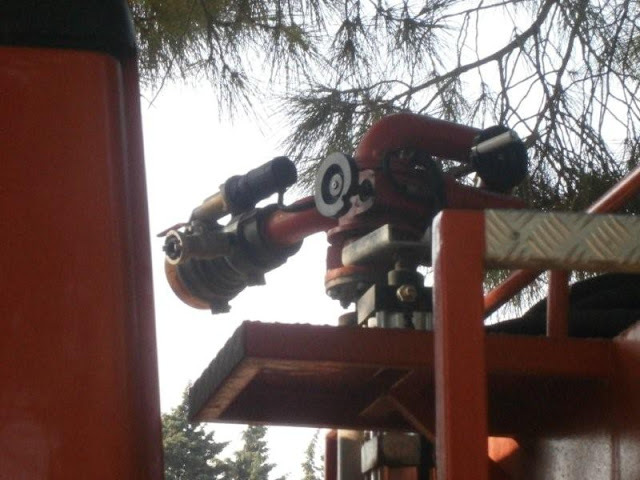 The below photos are of a typical Turkish wildfire unit used to protect forest and national parks. 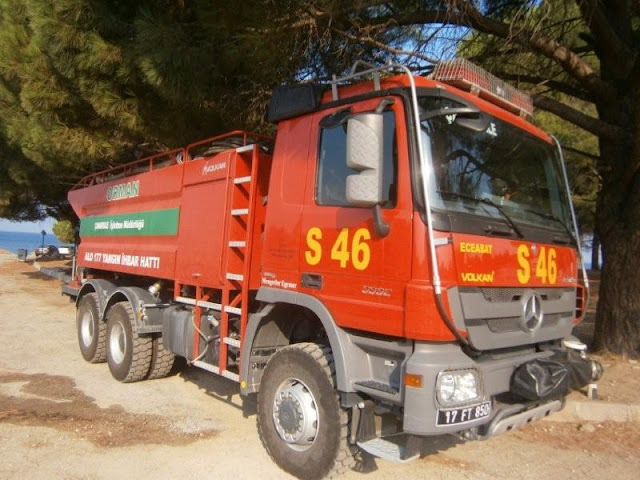 The crews live next to their trucks all summer in small portable accommodation blocks, in shifts which last for 25 days. This unit was based at Gallipoli to protect the national park and significant monuments such as the Lone Pine Cemetery and ANZAC Cove. This particular truck carries around 9,000L of water and performed very well both on and off road. 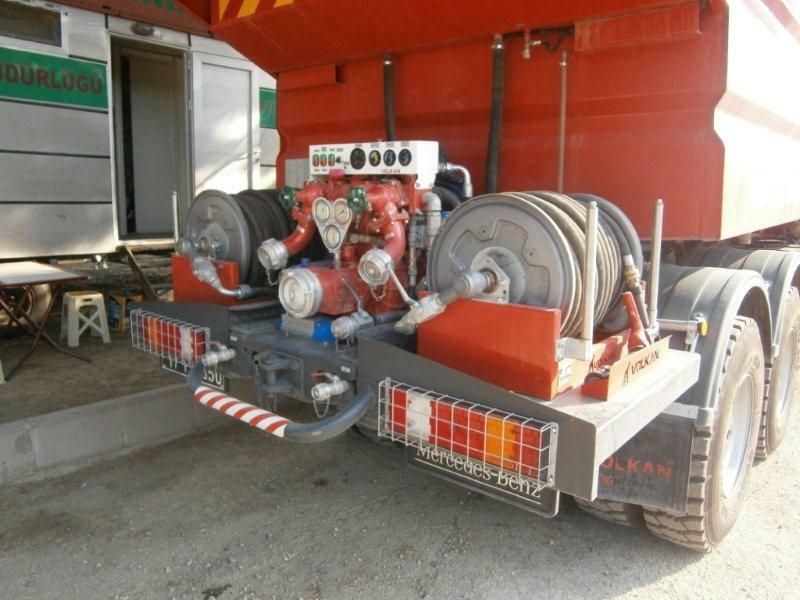 A side shot of the tanker, the bar around the cab is a spray system and there is a electronic monitor on the front of the unit under the black cover. The live reels and pump set. 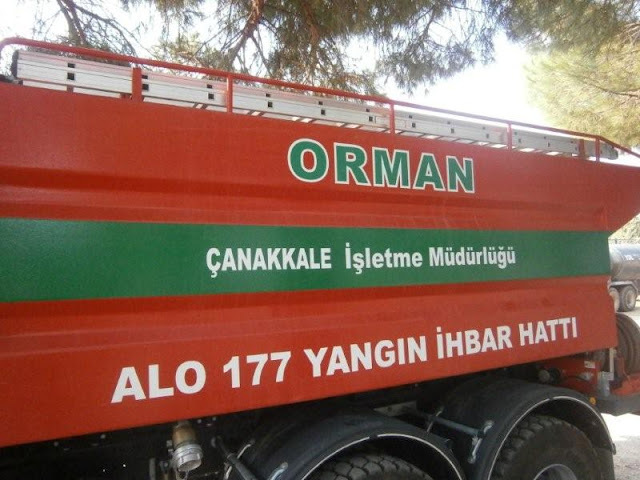 Orman, means Forest, Canakkale Isletme Mudurlugu means Canakkale islet directorate and ALO 177 Yangin Ihbar Hatti is the Fire notification number to call to report wildfire. This is the electronic monitor located on the top of the unit between the cab and the equipment locker. 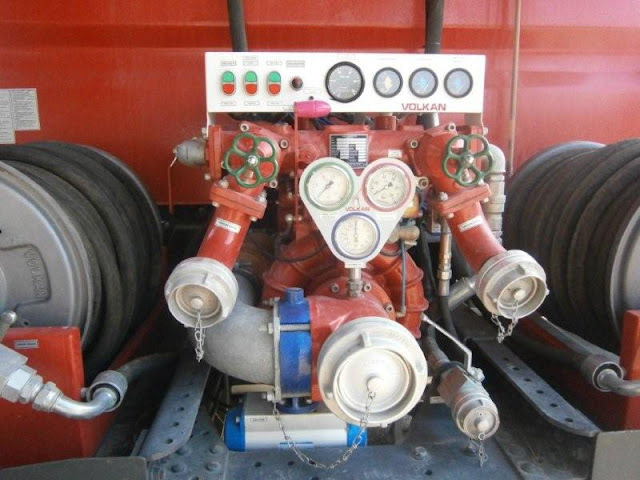 Both monitors are controlled from within the cab but have a manual override. This monitor also has a value to allow for foam to be introduced directly into the monitor. 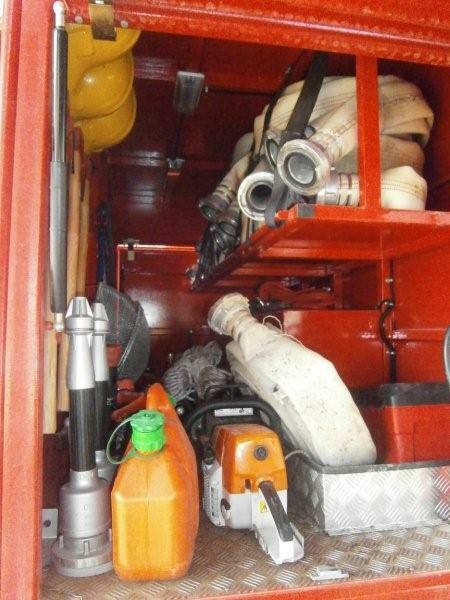 The large equipment locker between the tank and the crew cab, equipment is also stored on the top of the tank.